Take a minute or two to browse through our active yoga slash culinary trips. CASA DI YOGA started in 2008 with the love for travel, yoga, ocean, socializing and good food. It feels like every year is getting better, we meet like-minded from around the world, local people who joined our team and made it into what it is today, a business run with heart and soul. In 2019 we hope to meet you on one of our retreats in Portugal. We are staying on the south west coast of Portugal with it’s powerful landscapes where nature and surfers are living in symbiosis. People that keep on searching, believing in a simple life style made of small but important values: friendship, nature, the joy of doing what they love to do. Our accommodation is a brand new charming farmhouse in the stunning nature of the Costa Vicentina Nature Park, providing the perfect base for us to unwind and connect with nature. The house has 6 bedrooms, each with it’s own bathroom, and is only a 20-minute drive away from Vale Figueira and Monte Clérigo beach. This an all levels yoga retreat; all ages, couples, friends and solo travelers are welcome. Most of the food will be healthy vegetarian cuisine with fruit and vegetables from their own garden. We can accommodate most special food requests (gluten free, dairy free, vegan etc.). If you’re looking for a small retreat nestled in nature nearby the ocean than this one is for you. The Eastern Algarve is Portugal’s best-kept secret with unspoiled beaches and nature, endless sunshine and culture. Olhão, a charming town with Moorish white square buildings and cobbled streets where the fishermen still live, has slowly been adopted by artists and creative people over the years. It's the perfect place to feel far away from the international tourist crowd, to enjoy the local life and lovely Portuguese people. Only a 20-minute drive from Faro airport. The secret of this unexplored paradise is that it doesn't have its own shoreline though there are frequent short ferry rides to the nearby islands and lagoons of Natural Park Ria Formosa which provide long stretches of beaches with clean white sands. We are staying in a private historic townhouse located in the heart of Olhão's old town, on walking distance of the markets and ferries to the beaches. The house has 12 double bedrooms, each with a large ensuite bathroom, rooftop pool, rooftop yoga deck, multiple terraces, library and living room. People who want to learn to slow down and live the good life. This an all levels yoga retreat; all ages, couples, friends and solo travellers are welcome. Most of the food will be plant based with seasonal fruit and vegetables. We can accommodate most special food requests (gluten free, dairy free, vegan), for some requests we might have to charge a supplement. Create a custom retreat for yourself, family members, a group of friends or your business teams. We work with you to customize a retreat that meets your wishes. If you provide us with your desired area in the Algarve, amount of bedrooms, duration, type of yoga, activities and budget per person we’ll make you a nice offer. We never go too far from the ocean so you’ll find most of our hand picked accommodations nearby the amazing beaches of Aljezur, Carrapateira, Sagres, Lagos and Olhão. We work with a professional team of yoga teachers, chefs that can accommodate most special food requests, surf and SUP teachers, massage therapists and what about a sound bowl concert? 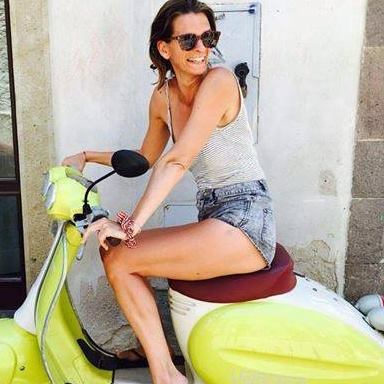 After traveling the globe as a TV producer, Laura blends her love of travel and adventure to create unforgettable yoga retreats, for the last 2 years at her second home in Portugal. A passionate yogi, cook, teacher and surfer, Laura hopes to inspire people to make healthier choices in life. She is also organising retreats for yoga teachers and working as a mostly plant based freelance chef. Jeanette teaches yoga classes since 2009, inspired on the traditional Hatha style. In addition different elements and styles like Iyengar, Vĳnana Yoga and Yoga Nidra are part of the classes. Ayurveda is a big part of her life and as an Ayurvedic nutritionist she offers also health program, gives food talks, is a massage therapist and a plant based chef during retreats in The Netherlands, Portugal, Luxembourg and Sweden.